I have found so many items on Etsy that I have fallen in love with immediatly, this necklace being one of them. This is from BRadleyBB's store. 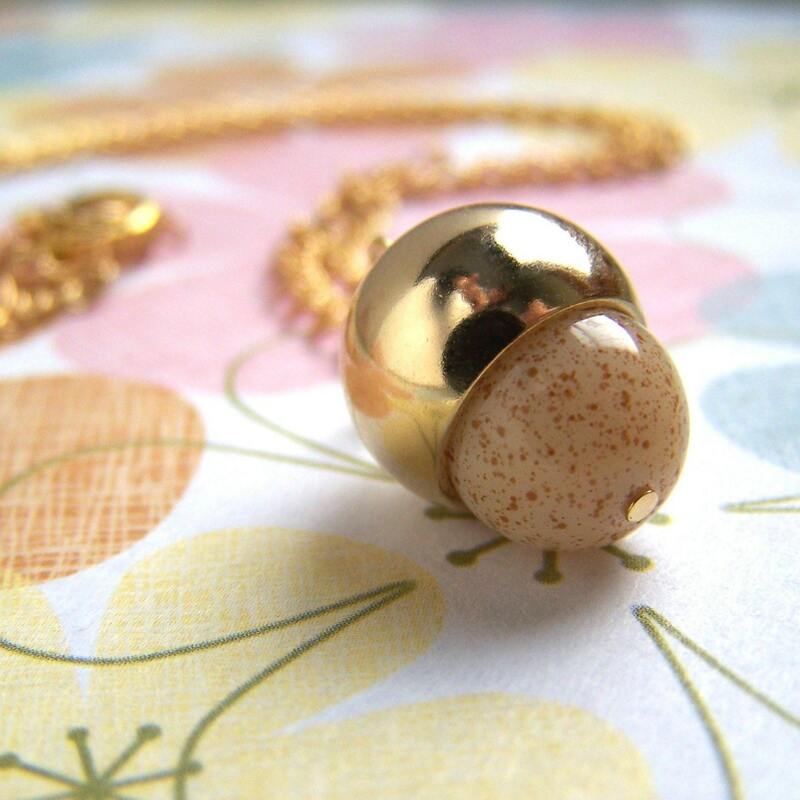 "A cinnamon speckled acorn with special golden cap! All the squirrels with be green with envy!" This will be perfect for spring and will go with any colour. I've just looked through all the acron necklaces available on Etsy, I've bought the cheapest at $9 with only $3 shipping to the UK. And most of all I've actually bought the nicest one! !